My favourite nail polishes at the moment - Lemon Meringue and Indian Ocean by Models Own. Indian Ocean is the prettiest colours I can think of all rolled up into a gorgeous shimmery bottle of loveliness - it looks cool over 'crowded' by UO, I laarrvve it! Buying things for America-land! The bikini and the sunglasses are from New Look, the shorts from Miss Selfridge and I found the tee in the Topshop sale! A sneak peek of the things I will be selling soon - before they got studded and embellished! Youtube videos - having a cold (boo) - choosing my A levels - not getting sick! - making a pact to take more photos with the boyf - getting excited about America - exam relief - making friendship bracelets - to do lists - (attempting to) workout and be more healthy - having post ideas! What've you all done this week? these clothes are so nice!! 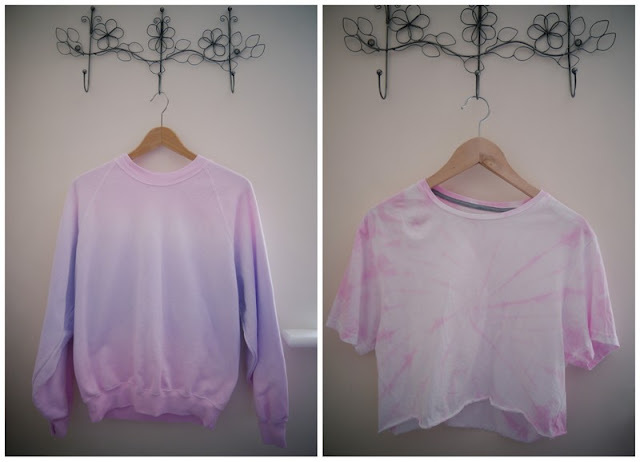 Gorgeous colours, love anything dip dyed. and Indian Ocean is definitely my favourite at the moment! Awww models own, I love it! Amazing DIYS, you're so talented! Love the lemon meringue nail colour. I have been meaning to try out that brand. I love the preview of what you'll soon be selling! Where abouts is your online store? 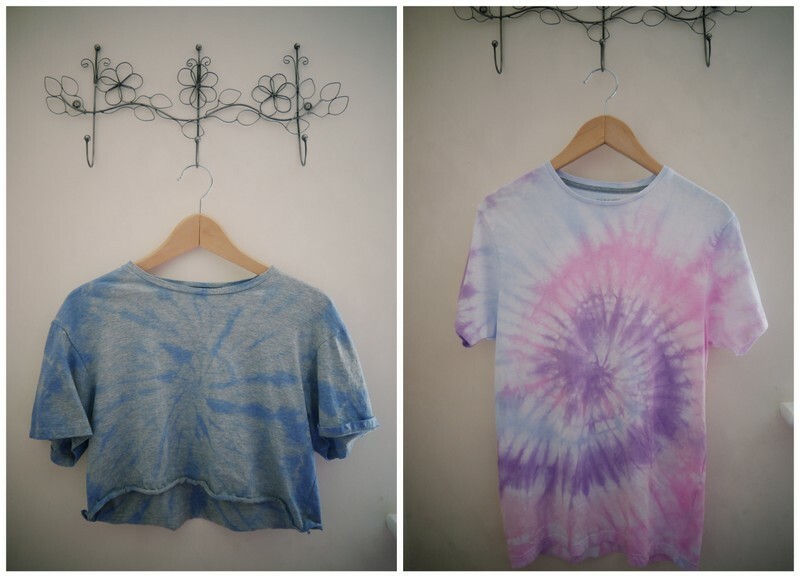 I would love love love it if you could perhaps do a tutorial on the lovely tie-dyes, I've always wondered how to do an ombre effect on clothing. I recently stumbled across your blog and I LOVE it! I love the layout to the content and everything in between! Your sense of style is just impeccable and your blog is simply the epitome of perfection! I am your newest, most avid follower, I look forward to reading your future posts. I would love it if you could perhaps follow me back too? Have a lovely day! I love the galaxy print top!! LOVE that tie dye sweater...want! !